This compendium of articles from Teacher Librarian completes a trio of guides to leadership teams interested in transforming the school library and computer lab into a Learning Commons. 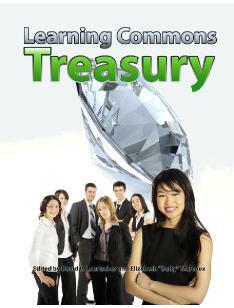 The first book, The New School Learning Common Where Learners Win (Loertscher, Koechlin, and Zwaan) set the theoretical foundation for the Learning Commons. The second book: Building a Learning Commons (Koechlin, Rosenfeld, and Loertscher) provides administrators and learning leadership teams with the planning tools needed to establish a Commons. In this third publication, the editors have gathered together 25 articles they have solicited about the Learning Commons idea over the past several years and published in Teacher Librarian. Articles lay the foundation of the Common, provide real examples from teacher librarians who have established a learning commons in their school, provide a glimpse into curriculum matters related to the Commons, the technology needed to make the Commons a success, a guide for the staff and role of specialists in the Commons, and finally several articles dealing with assessing impact on teaching and learning. This trio is a valuable collection for reinventing the nature of school libraries into a 21st century model.